Out of Hours service - For urgent medical attention please call the practice on 01792 403010 for information on the Out of Hours service. Working as a team, the doctors and staff in The Mumbles Medical Practice will strive to provide the best possible care for the needs of our patients and feel that the services we offer are tailored to meet that need. We hope you will be able to put some time aside to read the contents of this website, as we have attempted to include comprehensive information to help patients understand the services we offer under the terms of the NHS General Medical Services Contract which has been operational since April 2004. 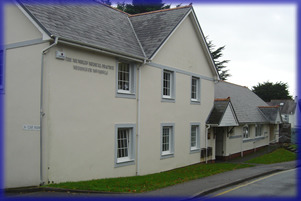 We have a branch surgery at Murton Clinic in Bishopston. See the Contact Us page for details. For opening times at both surgeries see the Appointments page.